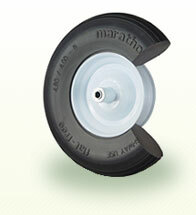 Marathon Flat Free Tires provide the bounce and load handling characteristics similar to air filled tires - with the benefit of never going flat. 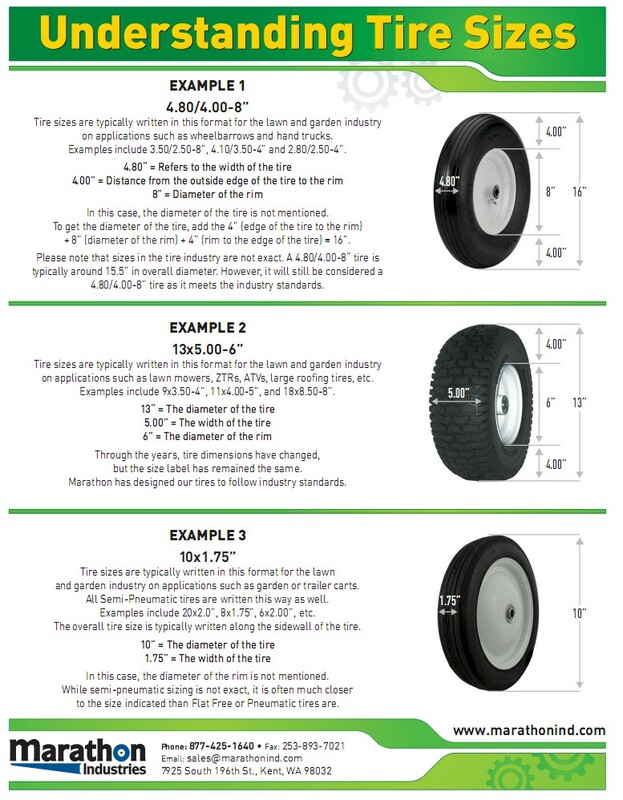 Often referred to as a 10” tire, the 4.10/3.50- 4” tire is one of the most common tires for hand trucks, garden carts, pressure washers, generators, and more. It comes standard with a 2.25” offset hub, but we also offer 3” and 4” centered hub lengths for casters and other equipment. This tire is lightweight, non marking and most importantly … Flat Free! This tire can handle up to 300 lbs and costs $29.99 + freight. The #1 swivel and rigid caster tire! 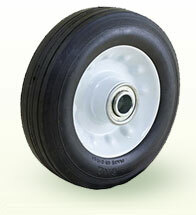 This 8" tire is available in two widths to fit all 8" casters. 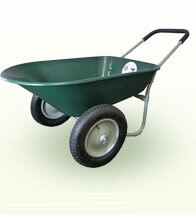 (See 2.50 - 4" for narrow version) This tire is also great for small hand trucks and other carts. 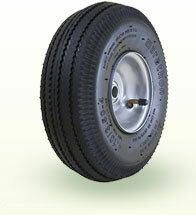 This tire is offered with a Jag Tread Pattern and is available on a 2.25" Offset, 3" Centered or 4" Centered hub. Load Capacity is 275 lbs and cost is $27.99. The #1 swivel and rigid caster tire! 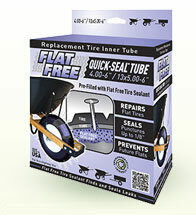 This 8" tire is available in two widths to fit all 8" casters. (See 2.80/2.50 - 4" for wider version.) This tire is offered on a 3" centered hub split rim and comes in a Centipede Tread. This tire holds up to 250lbs per tire and costs $25.99. Measuring 12.14” in diameter and 3.85” wide, this tire can hold up to 500 lbs. 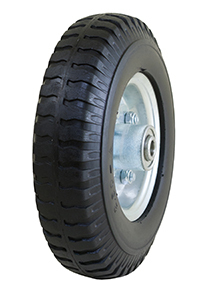 This tire is often used on large hand trucks and a variety of other equipment. It comes in a sawtooth tread design and is available on a 2.25” or 3” centered rim. Cost is $39.99 + freight. This tire comes with a sawtooth tread. 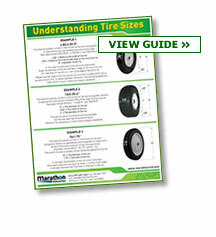 Don't know what tire size to buy? 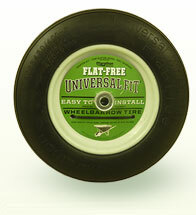 Our Universal Fit Flat Free Hand Truck Tire is designed to fit the majority of hand trucks and other small equipment. 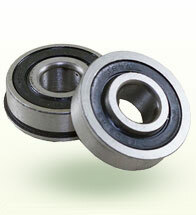 Diameter = 10.5" Width = 3.3" Load Capacity = 300 lbs. Comes standard with a 2.25" Offset Hub and 5/8" Bearings, but also includes a variety of spacers and bushings to meet the hub and axle configuration you need. (Perfect as a gift!) This tire is rated to 300 lbs and costs $29.99 + freight.